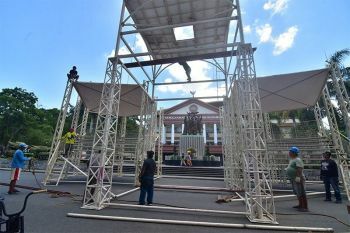 EXCEPT for minor incidents, Misamis Oriental was generally peaceful during the observance of the Holy Week, an official of the Provincial Disaster Risk Reduction Management Department (PDRRMD) said. 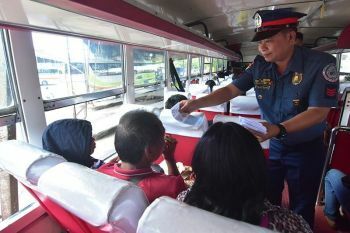 According to PDRRMD Officer-in-Charge Fernando Vincent Dy, there were seven minor incidents reported during the Easter Sunday, all involving children. Four children, within the age range of 7 months old to 9 years old, were reportedly brought to Northern Mindanao Medical Center after being stung by jellyfishes while in the beaches of Opol on Sunday. "The PDRRMD respondents were able to give first aid then pinadala sa (they were brought to the) hospital for good measure, for safety measures," Dy said. Meanwhile, a child was also reportedly missing but was found in less than five minutes in a beach in Opol. On the same day, two children almost drowned in Jasaan, Misamis Oriental and were also brought to the hospital. 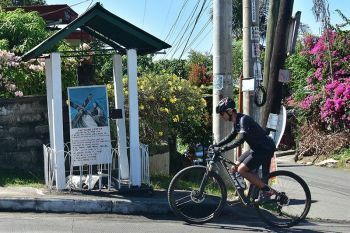 Despite the minor incidents, Dy said the province is generally peaceful during the observance of the Holy Week as there were zero casualties reported. "Generally peaceful yung entire province of Misamis Oriental and it is safe to say that since wala ring na report hanggang ngayon (there still no reports as of now), zero casualty in observance of the Holy Week," Dy said. More than 130,000 devotees was recorded to have visited the pilgrimage destinations in the province which are Our Lady of Fatima in Sambulawan town, Laguindingan; Birhen sa Lourdes in Moog, Laguindingan; Divine Mercy in El Salvador City; Sipaka Heights in Talisayan; Hinuklog in Medina; and Panaad sa Christ the King in Samay, Gingoog City. Last Sunday, March 25, Misamis Oriental Governor Yevgeny Emano has ordered the PDRRMD to raise the alert level to blue for the Holy Week. Dy said, the alert level will only return back to normal as soon as they were finish with the assessment.